Wadi Al-Hitan is a desert in Egypt which has strong evidence of being covered by water at some point in time. Excavators found a startling discovery in this desert in 2015. A 60ft(18m) Whale. 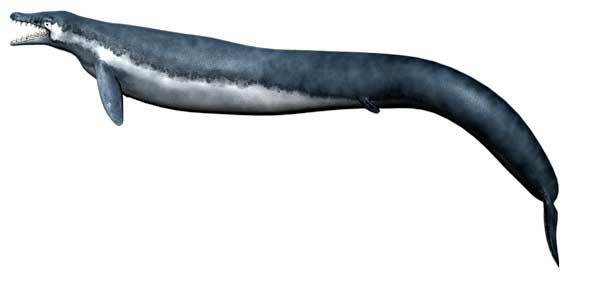 The fossil Whale is a Basilosaurus, an extinct Whale species is considered as the only complete intact fossil ever discovered. 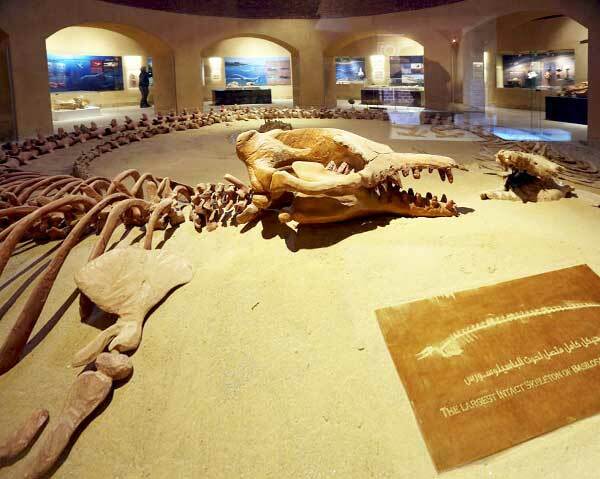 The fossil also contains inside it a smaller whale, sawfish and other smaller creaters. Another interesting find is a collection of shark teeth close by the fossil which suggests that the sharks ate the carcass of the whale. Dr Khaled Fahmy, Minister for Environment confirmed the discovery of 60 ft Whale fossil with even its small vertebrae in the tail intact. This would make it the only complete skeleton of Basilosaurus in the world. Wadi al-Hitan desert was discovered by scientists first in 1902. So far 10 whale fossils have been discovered. 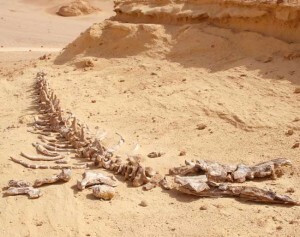 Interestingly, Wadi Al-Hitan in Arabic means “Whales Valley”. The valley also contains ancient crocodiles, turtles, crabs and sawfish. Its not surprising why the popular media chose to surpress this find as its clearly one more strong evidence of the biblical flood which covered the entire earth and destroyed all mankind except the family of Noah. Various places on earth confirm the evidence of a flood in biblical proportion, yet, scientists, media and people choose to ignore the truth.